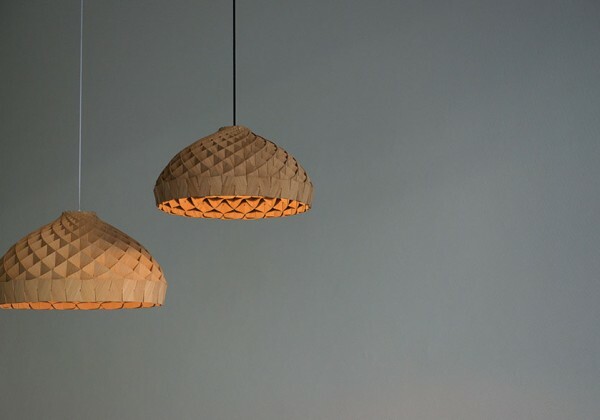 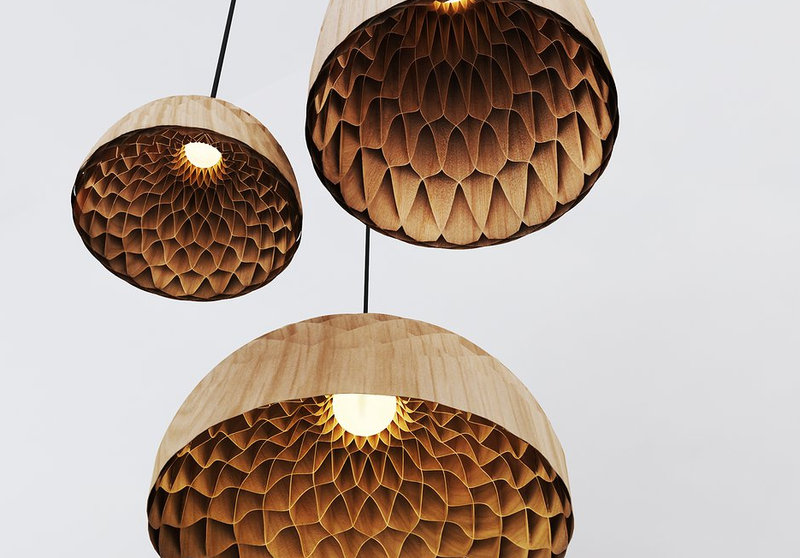 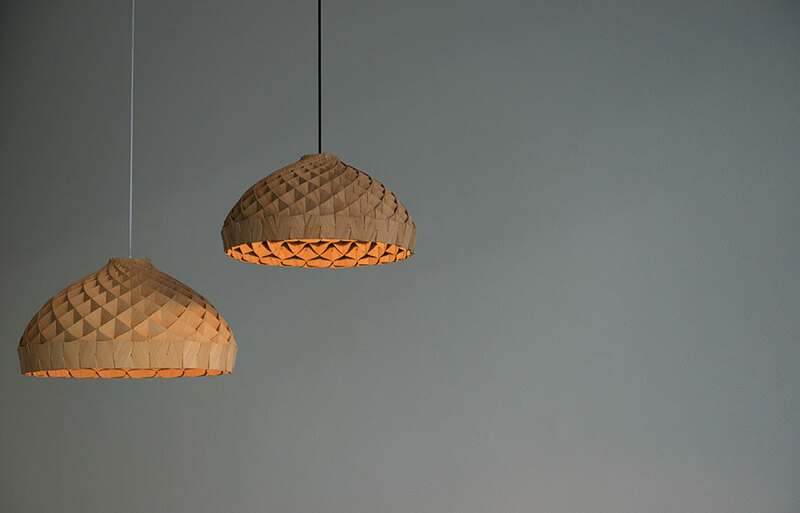 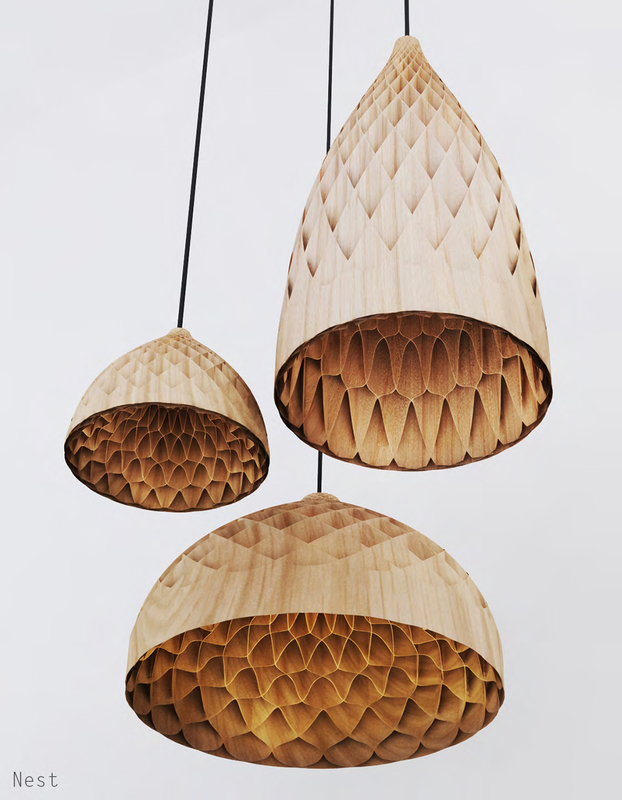 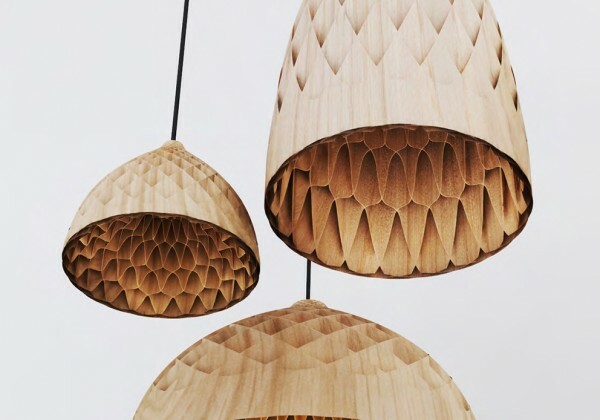 A pendant lighting fixture that pays homage to the honeycomb architecture of a bee's nest. 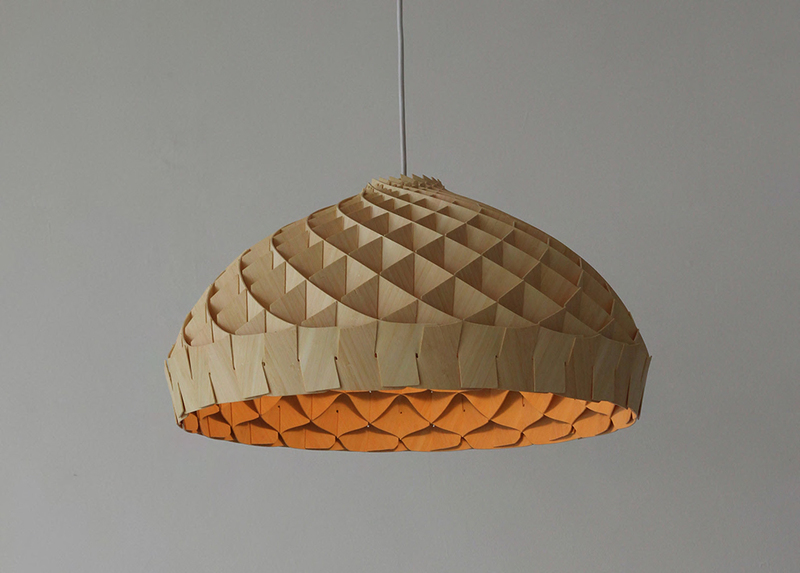 Made from bamboo veneer, The Nest's interlocking segments create a lightweight yet robust construction. This work is based on the principles of environmentally conscious design. 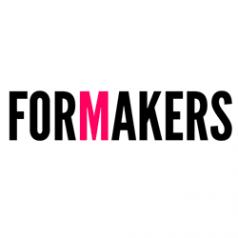 Packed to a fraction of the size for shipping, assembled without the use of glues or adhesives whilst utilising natural timber finishes for optimum levels of interior air quality it symbolizes the convergence of craft and modern manufacturing.